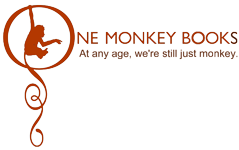 One Monkey Books | At any age, we're still just monkey. All titles are available at Amazon, often at a discount. Educators: for even greater discount on 5 or more copies and free shipping, contact us directly. Spring 1965. In the wake of Selma, a bill is finally wending through Congress to end the rigged literacy tests and other devices in place since Reconstruction to keep southern blacks out of voting and government. 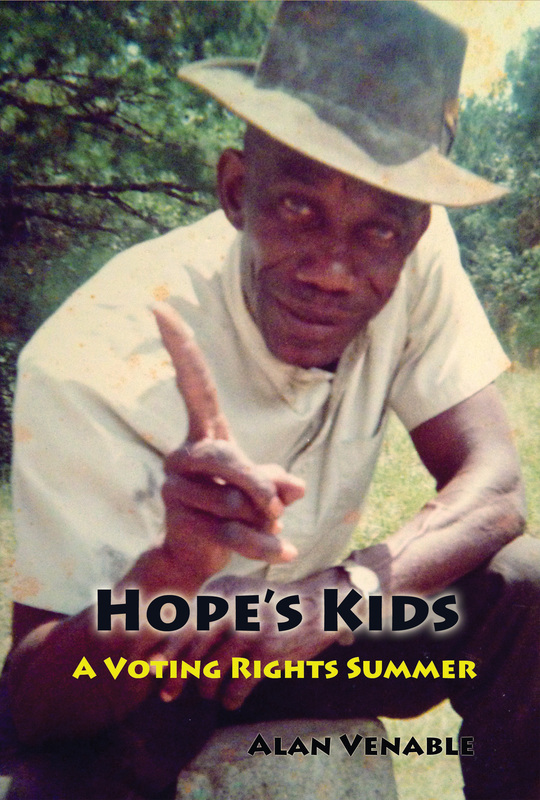 At the same time, Dr. King’s non-violent “wild man” Hosea Williams is laying the groundwork for hundreds of students to canvass the south in a summer voting rights project called SCOPE. Two dozen sign up at Brandeis, a vibrant young Boston area college, to work in South Carolina. Late June. The Voting Rights Bill still hung up in Congress, the Brandeis SCOPErs arrive in urban Richland County, soon spreading out to hinterlands in adjoining Kershaw and Calhoun Counties. There they confront a powerful mix of intimidation, persisting sanctioned segregation and astonishing poverty. Sheltered in black homes, they place themselves in the service of local leaders in a century’s struggle for equal rights. To the kids from Boston, it’s scary, frustrating, surprising, inspiring, complex, and rich in lessons on life. The author was a member of this project. The book is based solidly on diaries and letters from the SCOPE kids that summer, plus historical research and interviews with people of the communities in which they worked. 32 full-color pages plus suggestions for teachers. Why have career early elementary teachers made this book a classroom classic? 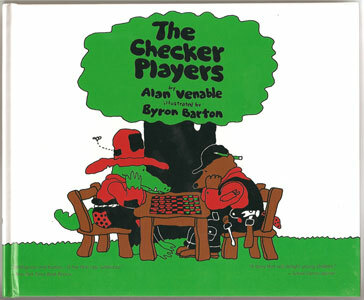 “Over our many years of teaching, we’ve found The Checker Players to be the perfect book for children of all ages. It’s the story of two comical characters, who, while competing in a simple game of checkers, find their very friendship at stake. How the carpenter and tinker resolve their differences provides a springboard for endless discussions about the value of respect and compromise.We’ve found many creative ways to use The Checker Players. “The story may be used to analyze story structure and character description, as well as to highlight the author’s use of humor which flows throughout the book. To predict the ending, the children may draw their own versions of the tinker’s and carpenter’s boats, then discuss how these differences would affect the story’s outcome. The Checker Players also lends itself well to reader’s theatre, as well as creative dramatics and practice in script-writing. Used as a model for creative writing, students are always inspired and their writing improves accordingly. ”Reading The Checker Players in September, when friendships are forming and teamwork is being encouraged, sets the stage for cooperation and goodwill throughout the school year. 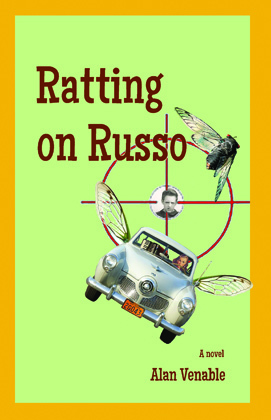 Of all the strange critters emerging from rusty, post-war Pittsburgh soil, whose reverence for Jimmy Doolittle’s Raiders and the 1950 bullet-nosed Studebaker ran deeper than Martin Badger’s? Yet whose coming of age had turned crueler than Marty’s? Whose bodily parts more rebellious? Whose eighth-grade classmates more annoying? Whose music further out of step? Whose sense of wonder more perplexed? Misdeeds more delinquent? Love more remote? That is, who other than Russo? A rich, humorous portrait of coming of age in post-war Western Pennsylvania. Order at Amazon or as an eBook. The concussions and delirium began in high school. How many traumatic injuries would it take before a few players rebelled against a celebrated, “winning” coach? This is the hard but triumphant story of a proud African-American family and the bond between father and son. Order on Amazon, or as an eBook. 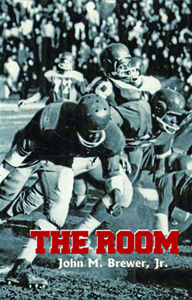 Hardback with jacket, 32 full-color pages. Thoughtfully silly, this nut of a tale reassures us that doctors are friendly to little peanuts. It also reminds us it’s good to speak up. Full of word play and dubious thinking that very young listeners/readers will enjoy. 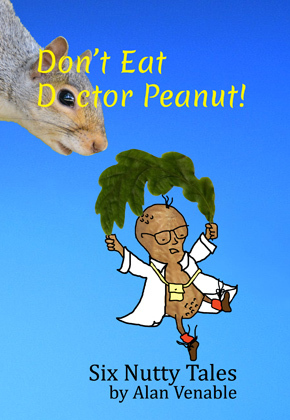 This book makes a great primer for the six-story collection Don’t Eat Dr. Peanut, which children will enjoy reading together or to themselves in their early elementary years. 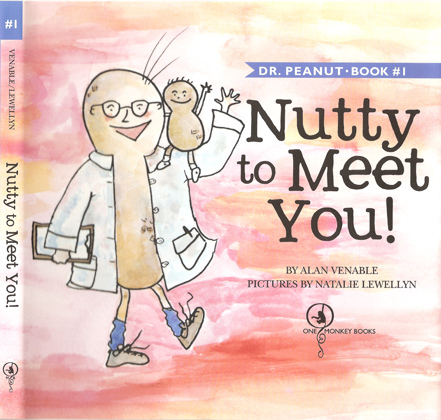 Don’t Eat Doctor Peanut begins with the tale told in the picture book Nutty to Meet You!, this time in chapter format, with fresh illustrations, slightly more advanced language for bedtime or early elementary reading. From there it just gets nuttier! The book is filled with delightful wordplay and glimpses of real natural science and other more outlandish suppositions that young readers and listeners will enjoy unraveling. 2. “Slimy” — In which the doctor acquires a snail for a pet and decides after scientific research and some surprising communication that neighborliness might be a better way to go. 3. “Too Many Squirrels” — A spine-tingling thriller of what can happen when a peanut takes a walk in the park! 4. “Where Peanuts Come From” — We mean the talking kind, and the surprising natural history of the real kind, too. 5. “The C-in-P Machine” — Pea-nutty high-tech unravels the mystery of why some peanuts are taller than others, yet all are nutty as they are. 6. “Ask Before You Bite” — The peanut world goes into an uproar when a young talking peanut is bitten by a giant. Naturally, the science-minded doctor wants to prevent such disasters in the future. Hardback with jacket, 10 chapters, 110 pages, 10 full-page monochrome illustrations. The lyrics of a simple song expand throughout the book. The tune is given in the book. You can also hear it here or download a simple piano arrangement. Teachers, Children’s theater directors: Download a free young actors’ script of Take Me With You. Choose a readers’ theatre, middle elementary school classroom, or more elaborate children’s theatre version. A good story lasts a lifetime, especially one that awakens compassion and courage. Take Me With You leaves a mark. Sister and Brother Forgotten, Left-Behind, and Every-Day-Missed are a few of the names used to describe the adorable siblings at the center of this story of love, loss, and longing. Taught that, “once together, never apart,” Sister and Brother embark on a quest that begins when Granny becomes too old to care for them. Granny gives them her old black shawl and sends them to Eldest Uncle’s cabin. Sing the following song whenever you are afraid, she advises: Earth turn / Breeze blow / Brave seeds / Wind sow / Take me / With you / With you when you go. The children sing (sheet music is provided so readers can sing along) throughout each journey, from Eldest Uncle and his mean wife, to Second Uncle and Aunt, and then finally to Uncle Broken-Heart where they learn their parents’ identities. Brother and Sister are self-sufficient, resourceful, and kind, so they can live under any condition, but they long to be reunited with their parents. They spend the last half of the novella trying to locate them, despite numerous obstacles that stand in their way. Illustrations of Brother and Sister’–bundled together at birth, toiling for their relatives, maneuvering wooden puppets carved in the images of their parents–reinforce the close-knit relationship reflected in the narrative. The treasure of the story is its connection to fairytales and folklore; for example, the mystical peddler who pops up whenever Brother and Sister are scared, lost, confused, or lonely, or the magical reappearance of spring and talking trees. 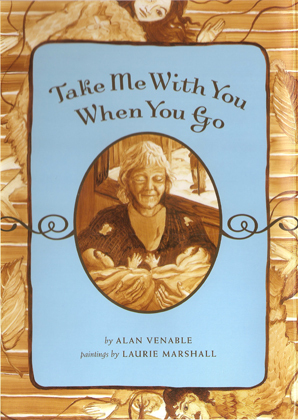 Take Me with You When You Go will make a great bedtime story for the older child. In this fairytale, a brother and sister go in search of their mother and father. The author keeps a fairytale cadence throughout the book.Smoothly written, the story moves at a strong pace without becoming bogged down in side issues. There is a kindness about the book, realistic conflicts, and incidents of humor…. Interesting, expressive illustrations enhance the text. In all, a winner for young readers, or for group audiences. Well done. Recommended.